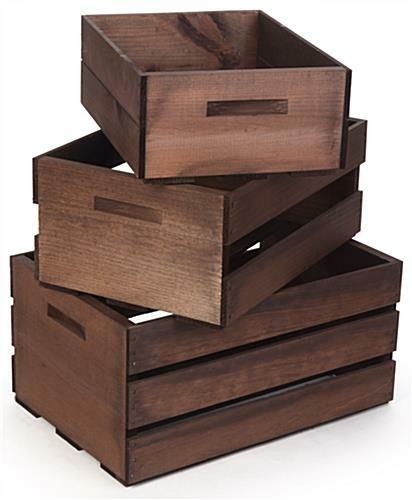 These wood display crates provide a vintage way to store objects in your household or put products out for customers to snag in your boutique. 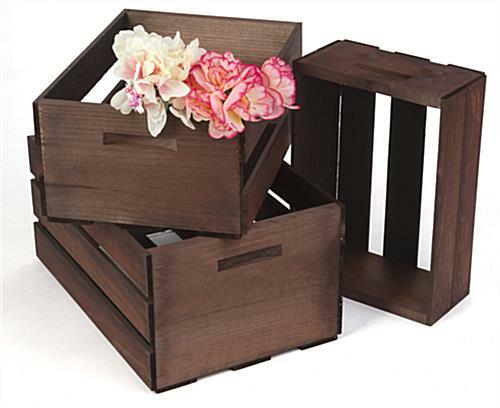 Each set includes a small, medium, and large box that neatly fit together and work well with country style home décor. 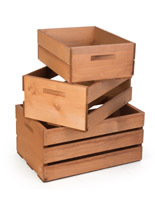 These vintage wood crates are made from Northern White Pine and stained dark brown for a rustic presentation or the base for a DIY project. 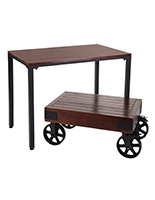 They can be placed around your retail store filled with merchandise or stacked for an accent piece. For a simple DIY project pile and nail them together to create an antique looking book shelf to complement your home décor. 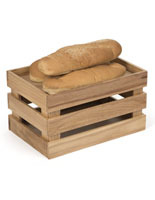 Use this complete set to store that excess clutter in your house with rustic style. 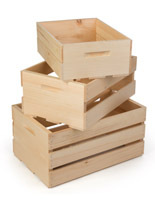 These wood crates bring together functionality and country charm for your retail shop or home. 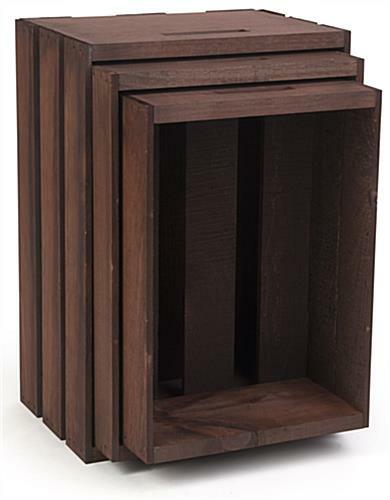 16.0" x 5.8" x 11.3"
17.8" x 7.5" x 12.3"
19.5" x 9.5" x 13.5"